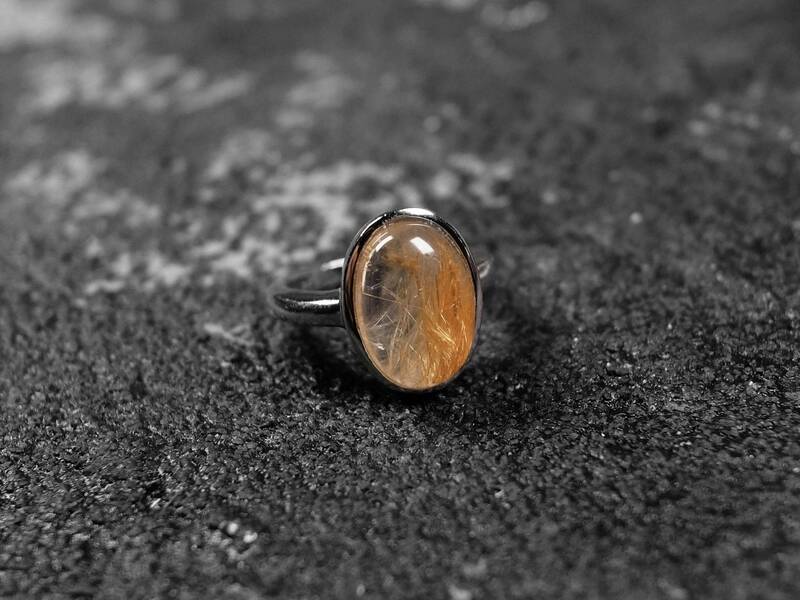 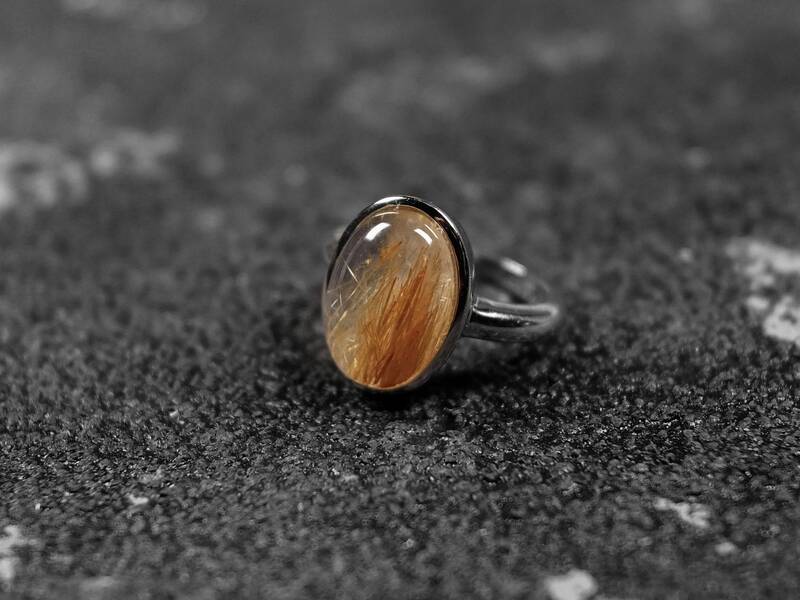 This ring uses a genuine gold rutilated quartz. 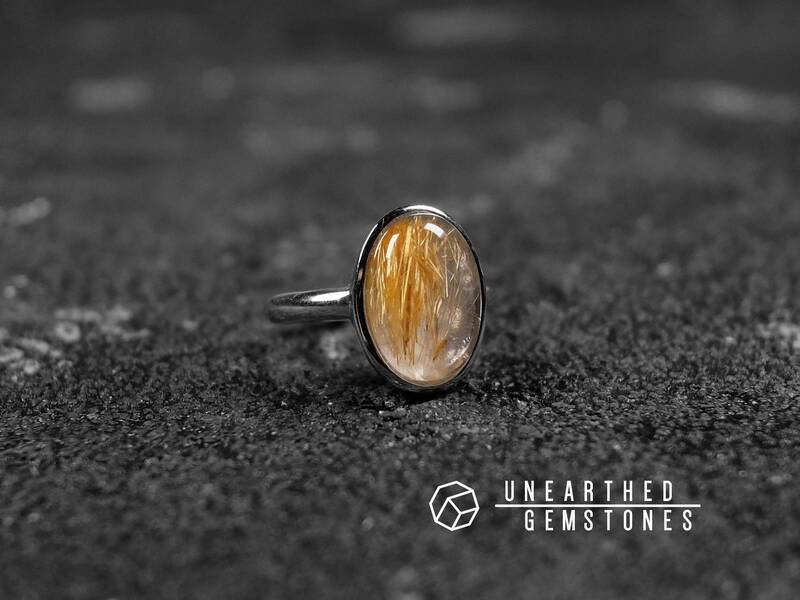 The golden rutile inclusions are delicate and abundant. 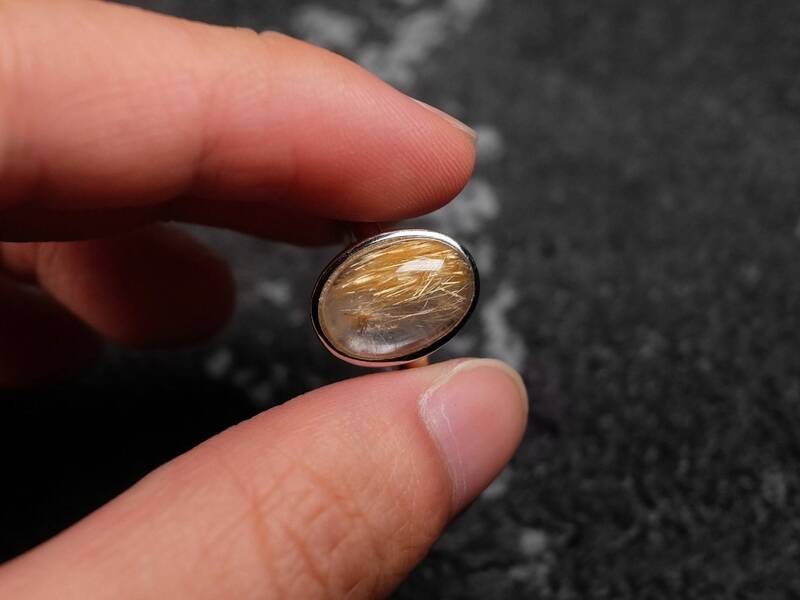 Most of them are on one side of the crystal. 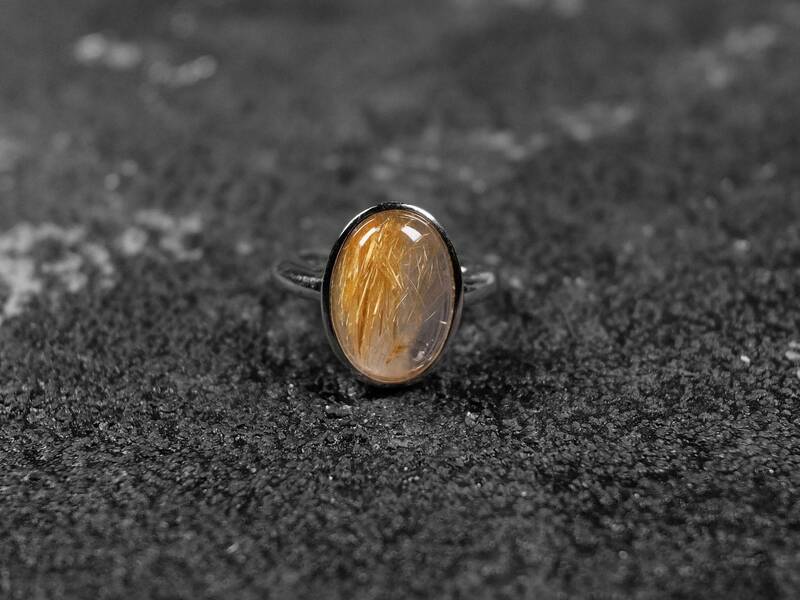 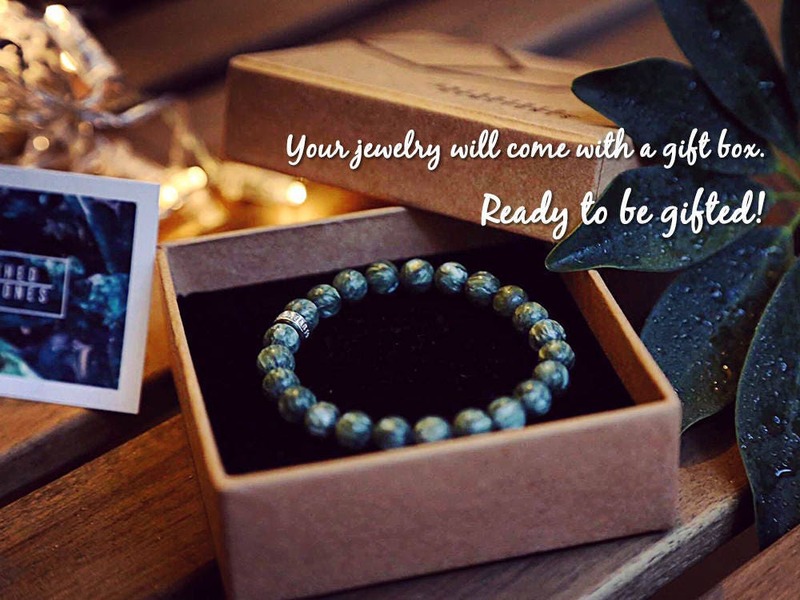 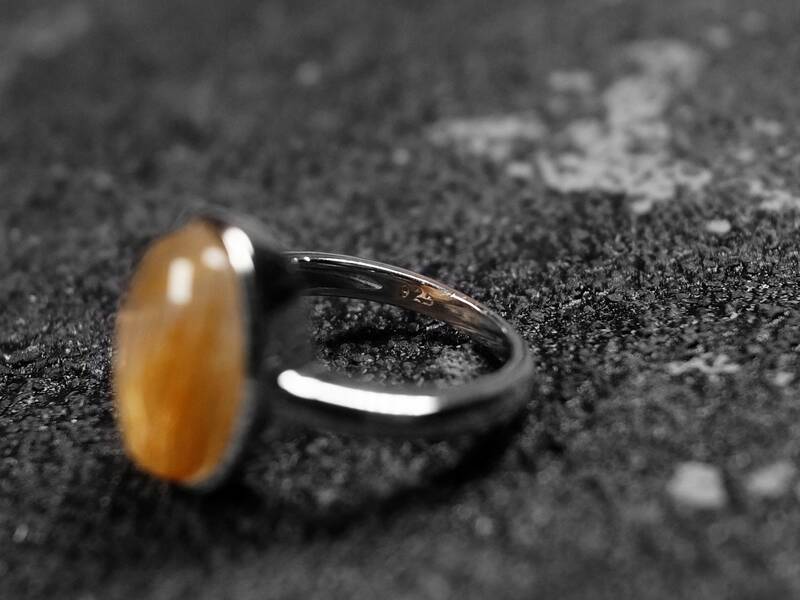 The gemstone is set in a US size 6 sterling silver ring. 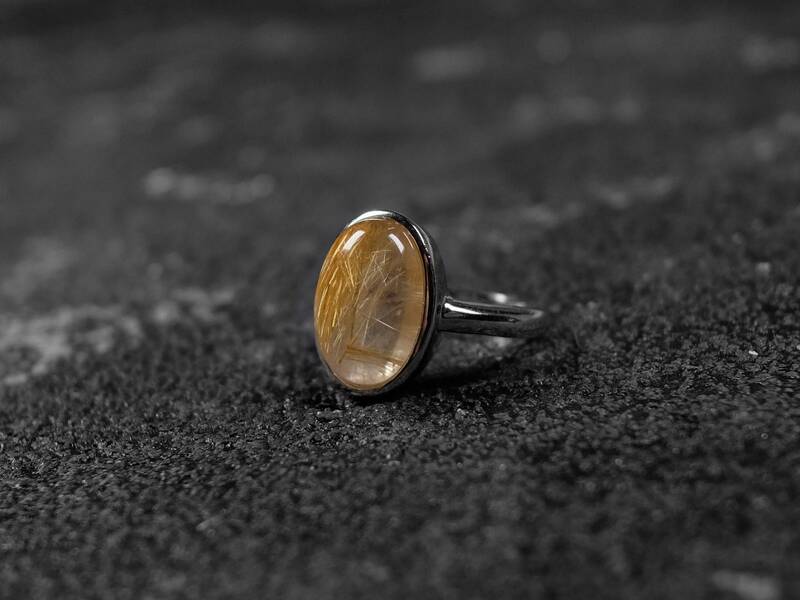 Rutilated quartz is a clear quartz with inclusions of rutile crystals. 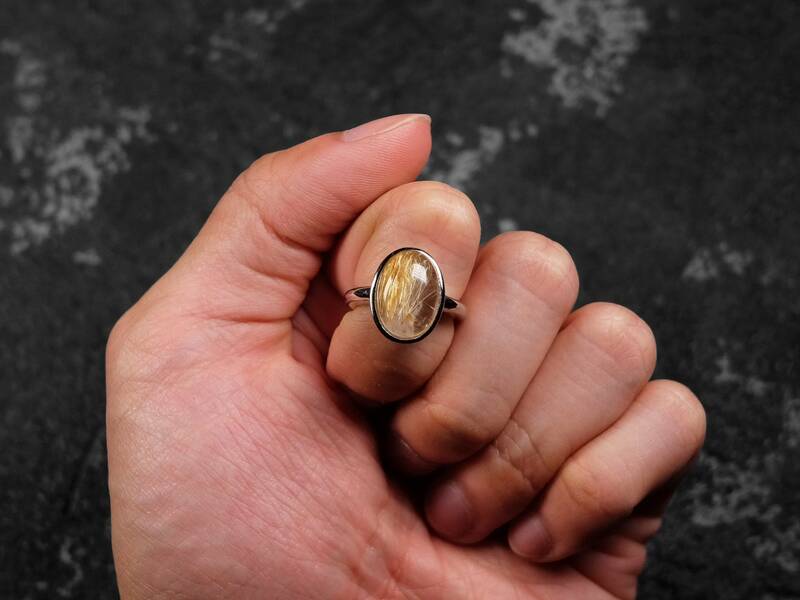 Usually inclusions in gemstones lower its value, but rutilated quartz is one of the few gemstones that it is desirable to have inclusions. 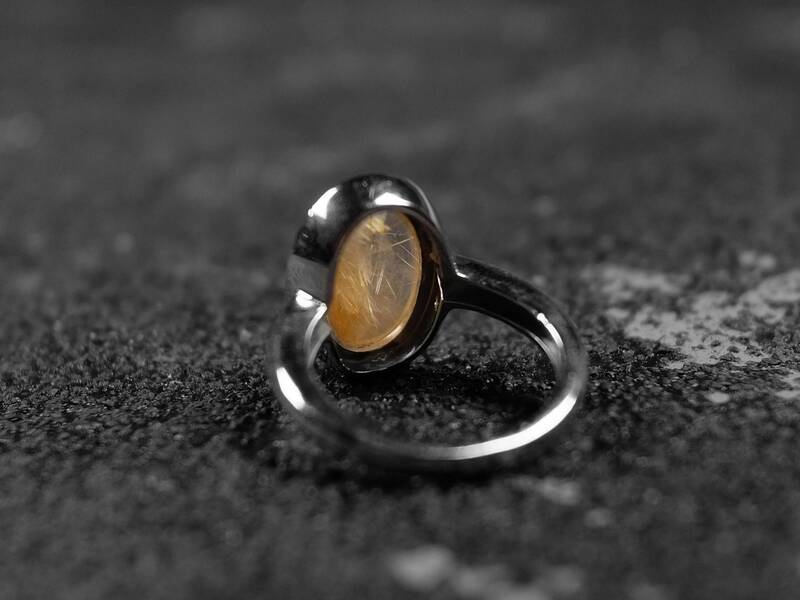 The most common color of the rutile is gold, however, red, brown, silver and green are also found.